Integrate analytical skills with strategic insights to solve tomorrow's business problems. These days, every business is collecting enormous amounts of information about its operations and customers. But you know that a database packed with information isn't enough to make an impact. Organizations need insights and leadership from experts who combine technical knowledge with an understanding of business strategy and communications. Tepper invented the discipline of management science back in 1949 and has been at the frontier of analytical business decision-making ever since. 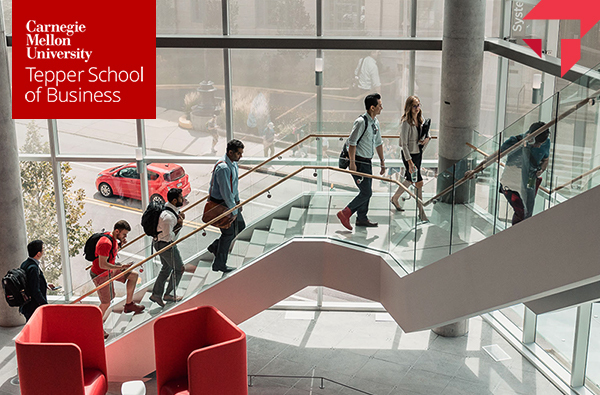 The online MSBA program will connect you with the latest thinking in both analytics and business. The MSBA program can be completed in 18 months on a schedule that's designed for professionals who work full time. You'll get the same unparalleled depth of education as you would from earning a full-time, on-campus degree. As members of a cohort, Tepper students foster an international network of professional contacts in real-time online interactions and optional on-campus experiences. Online students have comprehensive access to top-ranked career services, individualized coaching and an extensive network of employer partners. Tepper graduates receive the individualized guidance and support they need to put their analytics and business skills to work right away.